I fished with aguy who swore up and down by it. It would drive me crazy!Spoon feeding over timber trying to get them to look up. Iam not totally convinced. Posted: Wed Jun 24, 2009 12:15 pm Post subject: I have heard similiar stories. 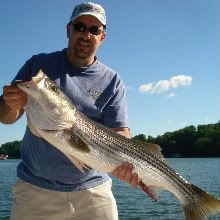 There is a well respected guide on Lanier that will use his hands to slap the side of his boat to "wake-up" the fish when down lining. I have also heard of some fisherman that temporarily start their big engine while down lining for the same purpose, even though they are not planning on moving anywhere. I had luck with this approach one time last winter when I kept going over a group of fish that I could see on the graph, but they appeared to be sleeping. They would not even move to take a look at my bait much less eat. After several passes with the same result, I tried slapping the side of my boat several times when I passed over them. On that pass I got a hook-up. It worked that one time, but I could not repeat it on several following passes. I was fishing with Bill C. one time and he told me of this technique. He said they would try using different instruments to see what works best...I thought it to be pretty cool. I've tried stomping the boat and yelling, but nothing as of yet. Posted: Wed Jun 24, 2009 6:37 pm Post subject: Something that could relate. I was in a narrow part in the Etowah river one day and everytime a boat would come by I would have 1 to 2 poles get smacked. I guess the fish know the shad or any kind of bait fish gets stirred up and they would feed until the water settles down. Craziest thing I ever seen. John, you gotta have rhythm. Posted: Wed Jun 24, 2009 8:57 pm Post subject: Re: Something that could relate. The boat runs the shad off of the shoals and starts a feeding frenzy. I saw that get some big ones stirred up on the cf river one time. The thumping DOES work. It works well when you graph fish in trees. Sometimes you can "call them" out of the trees and come up to eat. Typically, if I mark a school of fish (other than in the trees) that won't bite, I'll thump a while, then fire up the outboard. If that don't work, I'll drop a 2 oz bucktail tipped with a herring and power reel it - usually if the school is still around, they've bit something. If you can keep one on for a couple extra minutes, it seems to really fire up the others and causes a chain reaction bite. i think the thumping is lake specific ?? I think the thumping is school specific. It seems like every school of fish is just a little different - some spook off and some make you bang and clang everything on the boat to get them to bite. Seems like somedays it works better than others. I do it sometimes, but never have actually been in a situation where I could say it was the factor that made them bite. I have triggered some feeding with a jigging spoon before and I've also noticed that if you do get one on and let him run around down there in the school, it will get the rest of them fired up. The thumping thing will work on crappie too. I've seen that before whn tightlining over brush. The guy I was with started beating hthe paddle on the side of the boat and said it would make them look up, and it did. We hooked up 3 or 4 fish within seconds of him doing that. A good rod is a bent rod!! and the Capt that my daughter and I were fishing with had built this "drum pad" over a 3-4 inch long section of pvc pipe that was about 6 " in diameter to convey the sound through the bottom of the boat. The tapping sound on the "drum pad" had a higher pitch than what i've heard when generally tapping on the bottom of the boat. I'm not exacly sure what "clicking" baitfish sound like, but this higher pitch had to be closer. Anyway, the three of us filled up a large cooler with 5-8 lb fish in about an hour and a half ... The biggest fish was 10 lb 2ozs. We were downling fish that were on the bottom at 60 ft. So yep in certain circumstances some noises do attract fish which will investigate the racket. 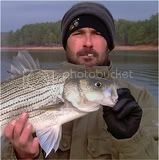 Went out with Steve Crenshaw on Lake Hartwell. He would use the end of a poolstick with the rubber tip. We seem to hook-up often enough doing this to definately try it sometime. I just don't think it would be my weapon of first choice. This is pretty interesting sounds like thumping to me, still never tried it but bilge has set them off for us before. 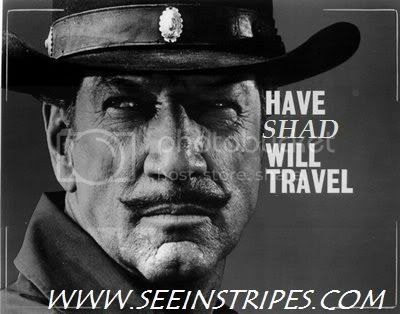 Posted: Thu Feb 04, 2010 8:38 pm Post subject: Very Cool! If you have a spare $500 or $600 laying around, I saw a magic little gadget at Cabela's the other week that has a submersible speaker and a control box where you select from a variety of "fish sounds" - mostly those of bait fish, etc..... I think it was also in the catalog somewhere in the section with the fish finders. Don't you come up on Smith Mountain and start beating on the boat. We look down on those people up here. Actually, I honestly think/know it works, but still think people look pretty stupid beating on their boat with a pool cue. Ask HokieChad about his cannonball trick! Works everytime. But the cannonball only works on SML if you are in spandex, right? Posted: Thu Feb 04, 2010 10:18 pm Post subject: WHOOPS! Damn dude! I was just talking about jumping in the lake to get the fish biting! Sorry, I'm a newbie to the board so I'm just going over old post but this one really caught my eye. The other day while fishing I was realized all my electronics had been going 5 straight hours so I though I would start the boat and rev it up to give the battery a boost. I did and let it run a few minutes until the alternator quit indicating "charge". Within a minute my first planer went flying, then a downline, etc. I went to the finder while I fought the 1st fish to plug in the waypoint and noticed the screen was covered! I had been marking stragglers all day but saw no schooling fish until I fired up the main. Coincidence? Probaly, but after reading this thread it does make me wonder. Shawn, you are one sick puppy! Chums kin folk .. gotta be !